When an automobile accident occurs, dash cams can provide essential evidence that can make or break a case. Dash cams supply clear and convincing recordings of automobile accidents. Unlike eyewitness testimony, video footage is not open to much interpretation and recordings often clearly show who is at fault for causing an accident. While dash cams remain relatively rare in the United States, the number of units sold each year is increasing exponentially. As the number of accidents involving insurance fraud and hit-and-run motorists increases, it is likely that more drivers will choose to protect themselves by installing dash cams on their vehicles. As with rear-view cameras, dash cams can show the actions of all individuals involved in a motor vehicle accident. The recording can show when a driver veers out of his lane of traffic, runs a red light, accelerates unexpectedly, or is driving while distracted. The footage can show if a driver appears intoxicated, is aggressive in his or her actions, or leaves the scene of the accident. The camera can also capture the speed and force of the impact. This can be compared and paired with the data gathered by the vehicle’s onboard computer. In almost every case, the evidence gathered by the dash camera can clearly establish fault for the accident and show the actions of all parties involved before, during, and after the accident takes place. Insurance providers don’t offer discounts for dash cams. However, the cameras do shorten the amount of time it takes to secure a settlement following an automobile accident. When the evidence shows that the other driver is at fault, the other party’s insurance is less likely to challenge the claim. 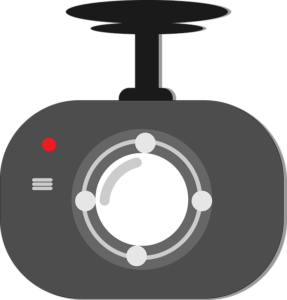 The existence of a video recording minimizes the potential for disputes and can be used to corroborate or counter eyewitness testimony. Dash cams are not prohibited in Nevada. However, drivers are required to ensure that the installed camera does not obstruct the view of the driver. While motorists can install dash cams on their own, it is advisable that the installation is performed by a licensed professional who is aware of the state’s regulations regarding dash cam installation. If the dash cam is not properly installed, the motorist can be ticketed for having an obstructed view.